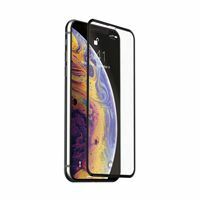 Just Mobile Xkin 3D Tempered Glass is the super-thin, super-tough screen protector for the New iPhone. Full coverage edge-to-edge with silky-smooth edges. The self-adhesive film protects your screen from scratches with an unbeatable 9H hardness rating.